The summer holidays are drawing to a close. School re-starts on Tuesday. The fantastic weather over the bank holiday was a great way to end and was worth all the previous weeks of dreariness. 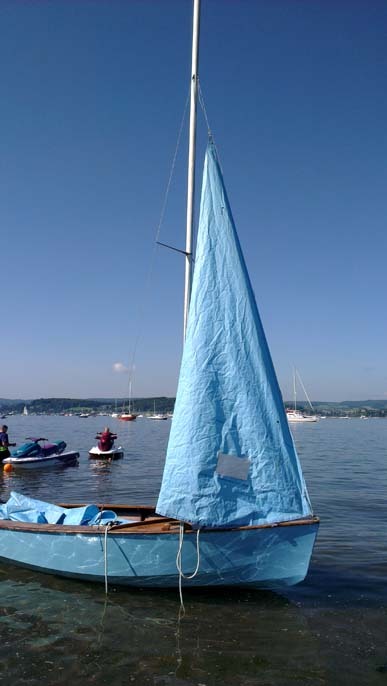 We finally launched a little sailing boat Big Dreamer has been working away on renovating. In all the flurry of a new baby and moving house this is a story I haven’t mentioned here. We were given the boat by a lovely lady whose husband had been a keen sailor. They had been married for 45 years and he was only in his early 70s when he died. I think that’s terribly sad. I can’t imagine losing Big Dreamer and we’re not even close to clocking up that many years together. Anyway, her husband’s sailing boat lay in her garden slowly deteriorating and she decided that she would like to give it away to a family with young children, and so it came to us. The boat has needed a lot of work to sand down, patch and re-paint but at last she hit the waves on Sunday. Big Dreamer was mostly concerned she would spring a leak, and I wouldn’t say she was entirely water tight, but it was a great start. We hauled her back up on to the trailer with a list of things to sort out before our next outing, but if the weather is kind we may well get some wind in her sails before the end of the year. I’ll keep you posted. In other news Big Dreamer has painted our front door yellow and it looks magnificent. 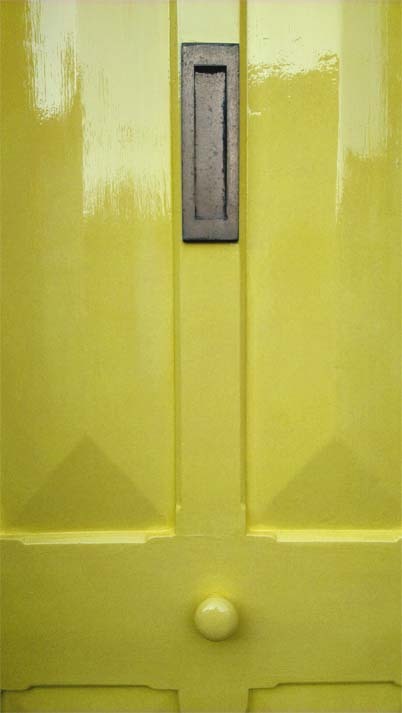 This paint-job has been a long-term ambition of Little Owl who insisted the door should be yellow, only for us to discover that underneath all the layers of paint, the door had originally been yellow. She’s got a sixth sense that one. What do you think? Does it get the Owling About blog seal of approval? 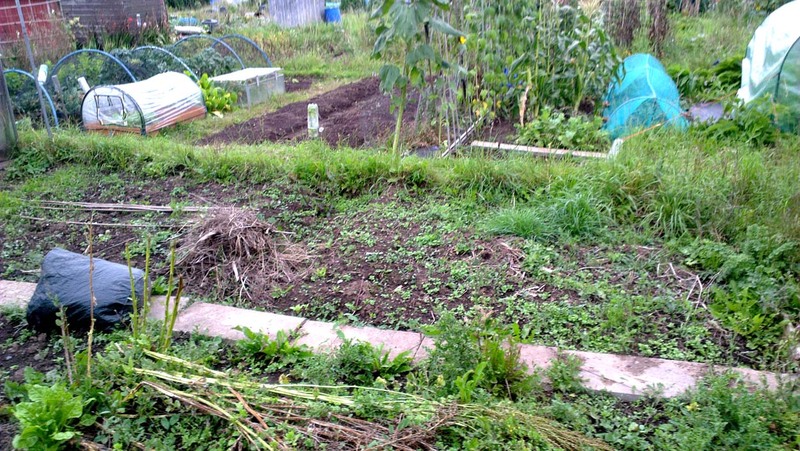 Over the summer we’ve have also become the grateful recipients of a patch of allotment. I’ve been desperate for an allotment. As long-term readers of this blog will know, I’ve had a varied career with vegetable growing and I’m missing it. There’s not much space in our little garden for veggies, other than in pots and hanging baskets. A whole plot seemed a bit overwhelming. It might have been manageable if we’d received one in pristine condition but I think that’s pretty rare, and the thought of trying to clear endemic bindweed and couch grass before even starting was very off-putting. Even then, I think it would have been a struggle while the kids are so little. This kind offer is the perfect solution. My good friend has had a half-plot for many years but is starting a full-time job and wondered if I wanted to take on a bit of hers. Here’s my patch. The black-plastic went on this week to kill off the weeds and we’ve sourced some manure from the local riding stables to collect and mulch down over winter to put on in the spring. Another thing to keep you posted on! This entry was posted in Growing things, Making changes and tagged allotment patch, back to school, boat, front door, kindness, renovation, sailing, sea, summer holidays, water, waves, yellow. Bookmark the permalink. How lovely to have a vintage front door – wonderful that you’ve put it back to it’s original colour too. Have fun with the allotment – looks like a heaven sent solution. The little boat looks a beauty.